Home » More... » What Is The Third Eye Chakra? The third eye chakra is the chakra that everyone talks about the most, associated with the mind, with clairvoyance, and with psychic powers. What is it, how can you cultivate it, and what can you do with it? The third eye chakra or the Ajna Chakra is all about “second sight.” It’s located in the center of the forehead, slightly above the line that connects your other two eyes and a couple inches inside the head. It’s a very, very powerful chakra, and as such takes quite a bit of work to open up, or indeed, even become aware of it at all. 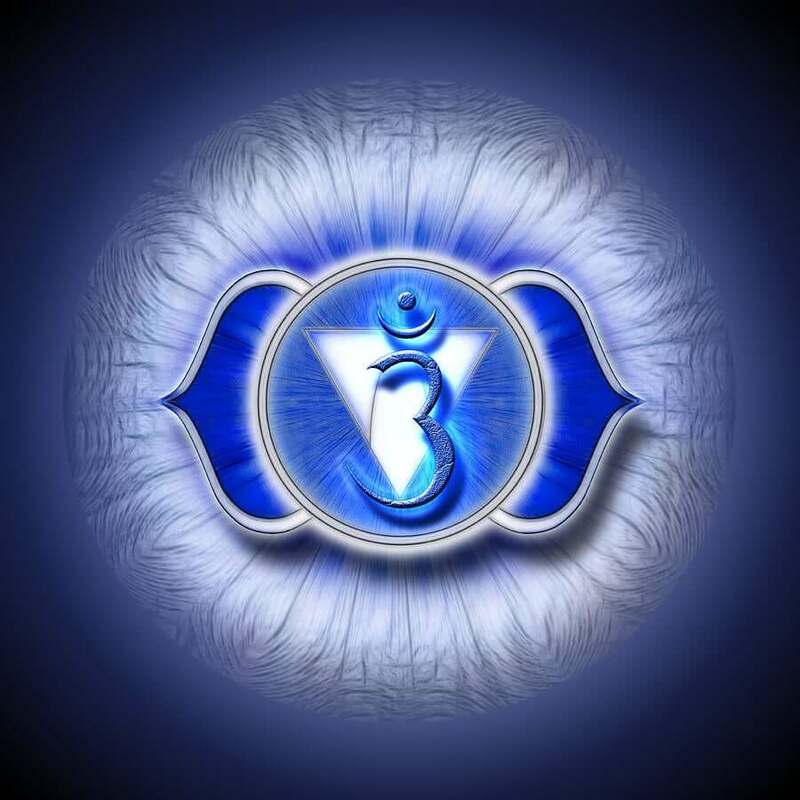 This chakra governs wisdom and decision-making, and it is this chakra that keeps your consciousness together. It’s said that people who are considered “mad” have completely closed this chakra off, letting no energy from their own root flow into that channel. Opposite-wise, those who are the most grounded and can make the strongest decisions by themselves may have the widest, most open third eye chakras. There are stories about those who have extra-sensory perception, who can see auras, and who have “far-sight” or clairvoyance. These people are all making use of an opened or aligned third eye chakra. How can you open yours? Here’s the trick to it. Yoga poses like Child’s Pose help to channel energy to the chakra, but a phenomenal meditation technique is to set up a bowl or funnel with a slow trickle of warm water in which has been mixed essential oils like dandelion or lady’s slipper, or even chamomile, to pour onto the spot on your forehead where the chakra is located. Lie back on a hammock, deck chair, or other device that will not allow the water to pool around you, and as this warm trickle continually flows over your chakra, focus on the very specific point where it contacts. The challenge of this meditation is then to follow the stream up from that point into the funnel or bowl, and see inside of the reservoir while at the same time not being distracted by the water trickling off your head. This meditation is best done in small bouts – there is an ancient torture method that utilizes a very similar water drip, so it’s best not to overdo this one. To align the chakra when it’s been knocked out is much easier, since the chakra has already been opened. The meditation consists of sitting in lotus or half-lotus, and focusing on the chakra’s point. You should be able to see a light coming from it. The brighter the light that comes from it, the more in-line the chakra is. Visualize a sort of ball of light surrounding you, generated from your third eye, and push it outwards. Focus on perceiving only what is inside that ball of light, but perceiving all of it at once. Your third eye will filter that experience for you and condense it into usable information that your brain can process. Everyone wants to open this chakra, and so many people will be tempted to rush to this chakra first in their journey of opening the lotuses. It’s much better, far easier, and does your line of chakras better to start from the root chakra and go upward. Take it one step at a time, guys. Next What Does The World Think OF Me? Arudha Lagna Can Tell You!